Lion is an Indonesian focused oil and gas exploration & production company. It has two new long tenure conventional gross split tax and royalty PSC’s located on Seram Island. These include the Seram PSC containing the transformational Lofin Gas discovery, and the producing Oseil oil field and the exciting East Seram PSC containing the Lofin extension and prospects and leads exceeding 700mboe’s in the immature Manusela play. 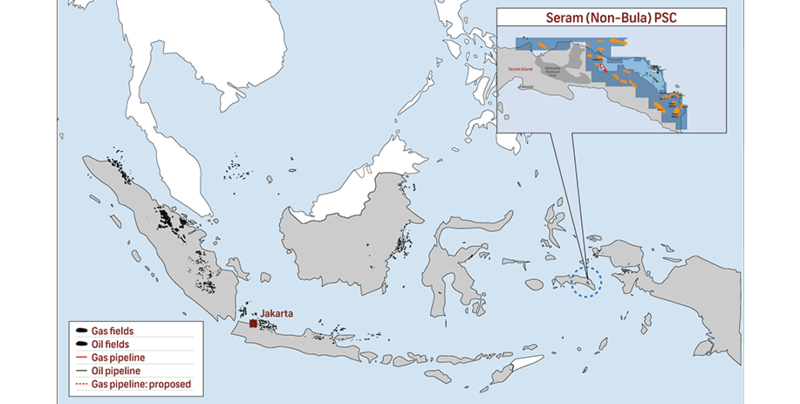 Lion, through its wholly owned subsidiary Lion International Investment Limited (LII), holds a 2.5% shareholding in the oil producing Seram (Non-Bula) Block Renewal PSC joint venture located onshore Seram Island in Eastern Indonesia. The PSC contains the 2 TCF Lofin gas discovery that was appraised in 2015. Lion, through its wholly owned subsidiary, Balam has 100% working interest in the East Seram PSC containing an extension of the Lofin Gas and Bula Oil fields and in excess of 700mmboe’s of unrisked mean potential in exploration leads.